You are currently browsing the tag archive for the ‘bad spirits’ tag. Chillies, lime and coal…..so what’s the connection? A small stack of chillies, a lime and coal, all neatly tied together hang above the front door to houses, entrances to restaurants, off the tow hitch of cars and in many a rickshaw and taxi. So what are these little bundles of partly made curry and fuel about? Folk wisdom has it that spirits that can harm are constantly looking for food. When they find none, then they attack humans. Lime is used, because it is sour, chillies because they are pungent and coal because it is black and much loved by malevolent spirits. By distracting these spirits we distract their virulent attention from us. You can spot the little pile of goodies at the top of this image. 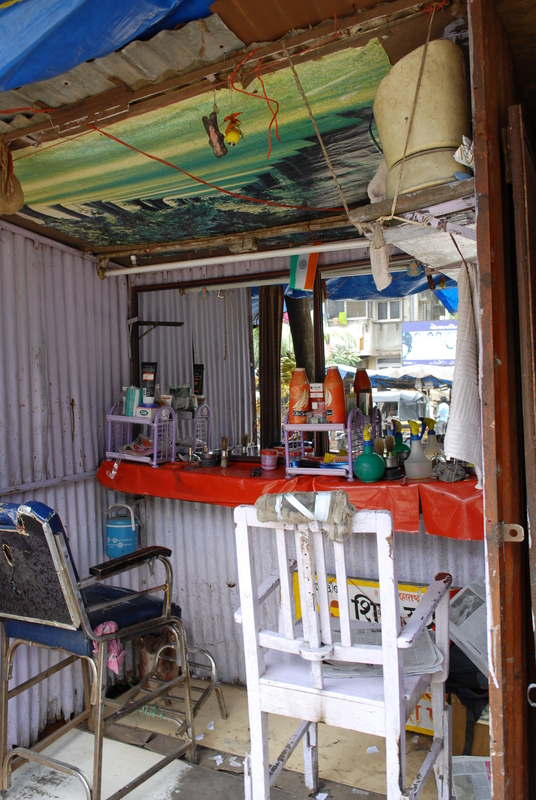 This is the local barbers by the way….. Hang on a minute surely chillies, lime and coal is not the best of diets.. Where’s the essential carbs, nutrients, fats and roughage, Crash diets are not healthy even for the most evil of spirits.